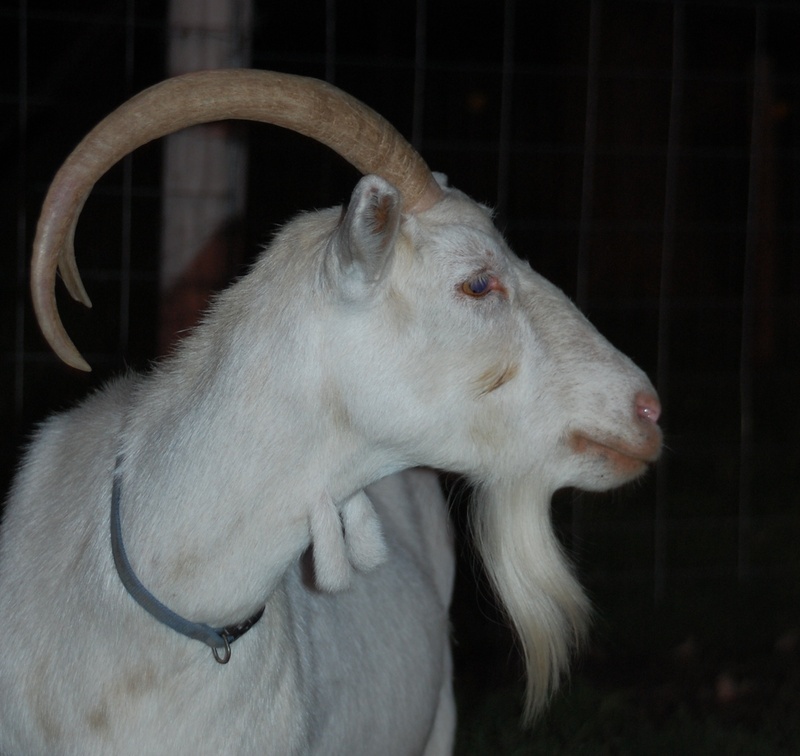 When I got home yesterday, I found that my dear Millie goat had broken her horn. 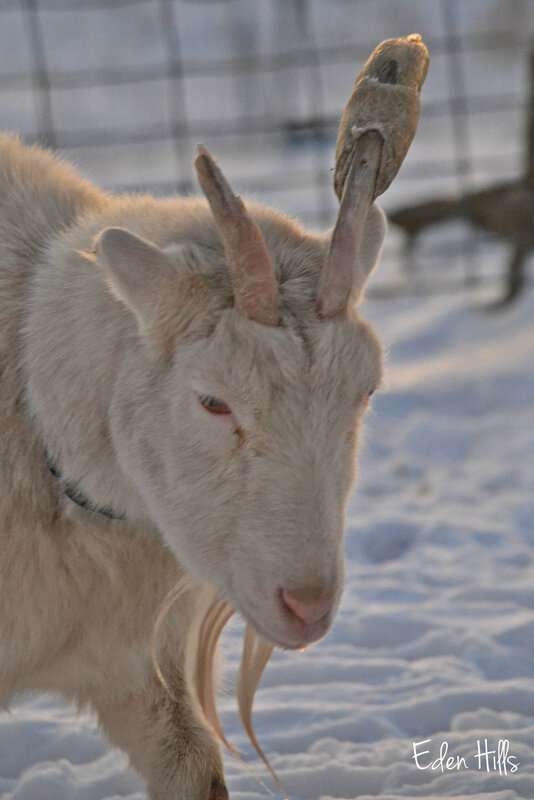 A goat’s horn is a part of their skull, and they will keep growing from the base of the skull throughout the goat’s entire life. It can be extremely traumatic if they break one. I’ve seen it completely change the angle a horn pointed. Even though the horn itself doesn’t have nerves to feel, can cause extreme pain when it is wrenched out of position. 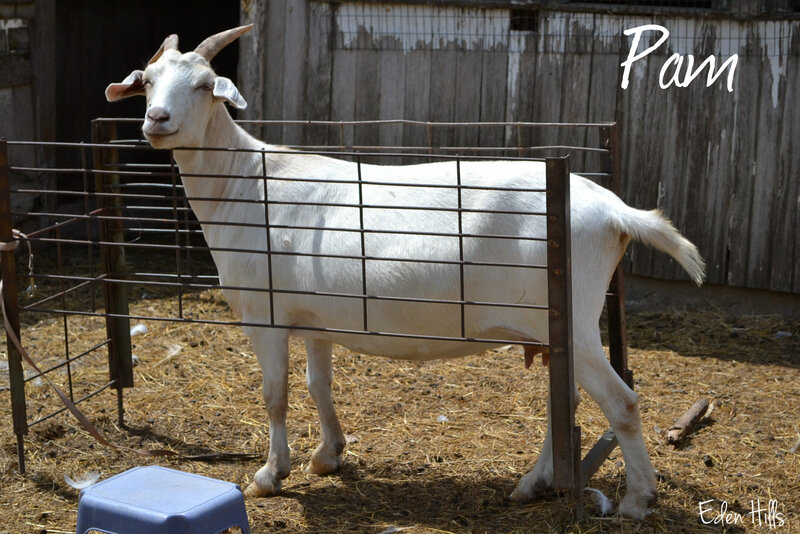 Pam twisted her horn and ended up having a partial dehorning to clean up her injury. It grew out, but it pointed off to the side after the trauma. It can also be extremely bloody. 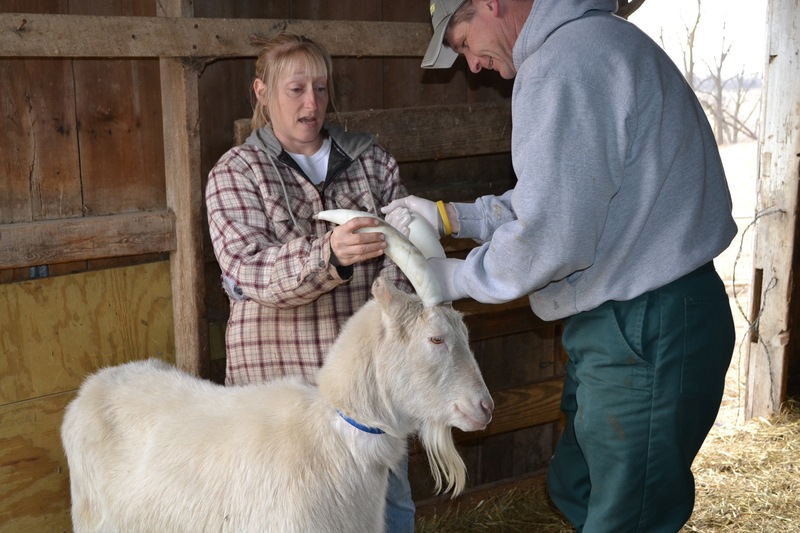 When Opal broke her horn, the vet had to use powder to stop the bleeding and bandage it. She also got a booster of over-eating tetanus along with antibiotics and pain killers. The horn is bone on the outside, but it has a blood well that extended up into the horn. That’s one major function of the horn. It helps regulate body temperature. 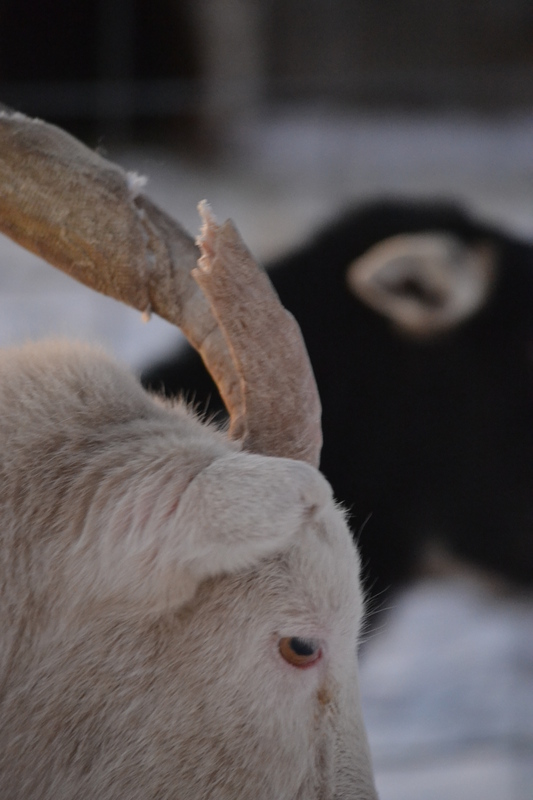 Horns are also one of the only defenses a goat has. They are prey animals, and horns are about the only weapon they have to defend themselves. They also work well for scratching those hard to reach places. Then there’s my Millie, who is truly a musician. That’s why she has damaged her horns. She previously scraped enough of that horn off to cause her to bleed. That’s dangerous because it’s an open avenue for infection to enter her body. Once they are open like that, they won’t grow new horn to cover the opening, but in Meg’s case, I could put a bandage on it (and give her a tetanus booster), and she would quit beating on them allowing them to scar over. Millie would have the bandage off and make them bleed every day. That’s when I came up with the idea of the casts, and they’ve helped her stay safe. I’d guess the previous injuries and the casts putting pressure on her horns caused that blood well to be restricted. Without the blood going up into the horn, it basically died off. I’d guess it became brittle, and when she broke it off, there was no trauma. She didn’t bleed, and it doesn’t seem to have caused her any pain. There’s no avenue for infection to enter because it’s sealed. If there were an opening to her body, it would be bleeding. We went through something similar when Lotus broke the outside of her horn, bending it back. By the time it finished breaking off (the day before she had a vet appointment to finish removing it), it had restricted the flow of blood into the horn and there was no bleeding. It had already sealed. The vet will be coming out in the next few days to trim up where it broke. I don’t want her to have such a sharp horn. It would be too easy for her to accidentally hurt someone. Even though she looks a little lop-sided, I’m grateful it wasn’t really a big deal. 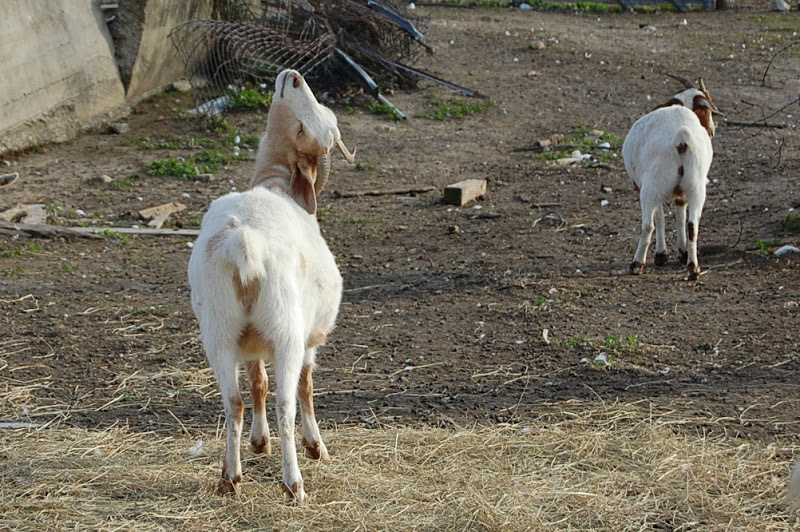 Even though some people de-horn their goats, I can’t advocate for dehorning because they are so important to goats. In addition to that, it’s a lot easier for me to hold a full-sized goat and give it a shot when they have horns. My son prefers the horned goats to hold when they are big and strong enough that I can’t do it on my own. 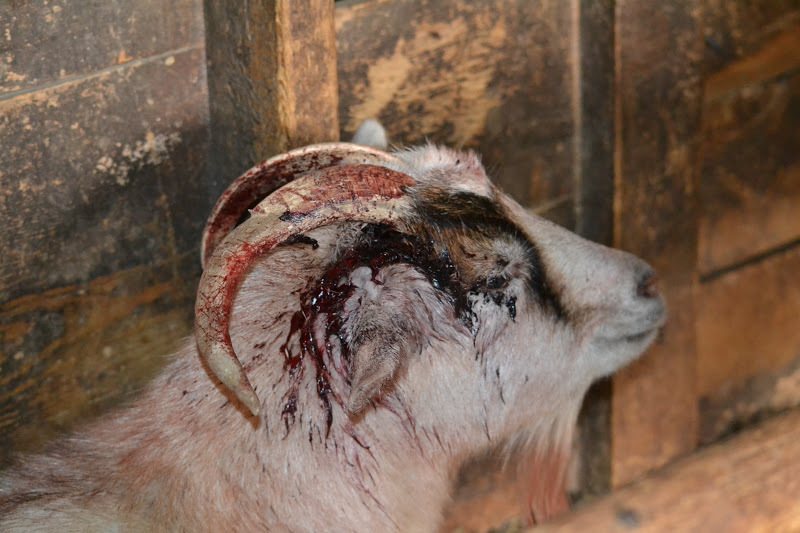 Even though we’ve had a few horn injuries, and I think I’ve shared every single one in this post, I would never consider de-horning my goats. In my opinion, they are just too important to the goat. Sharing with Rurality Blog Hop, Farmgirl Friday, Camera Critters, and Saturday’s Critters. Fascinating! I had no idea horns helped regulate body temperature. 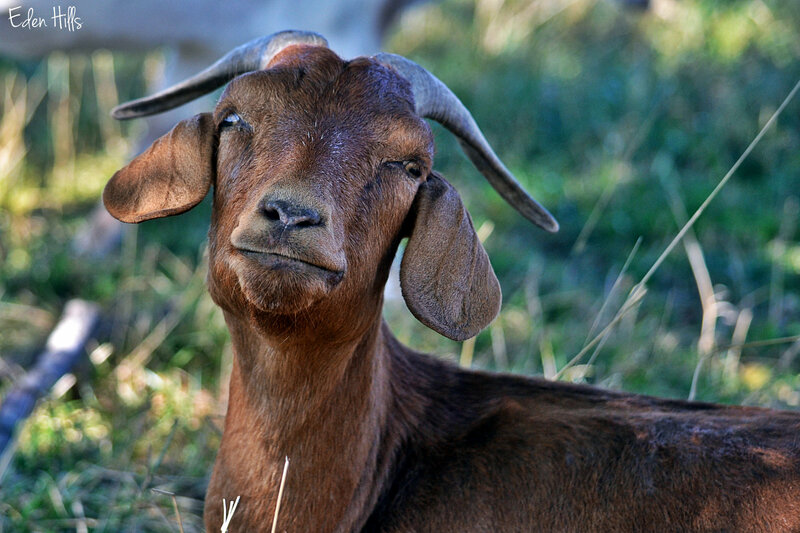 I think most people just assume they are for decoration, but they are important to the goat. I agree. Pricilla came to me without her horns and she hates having her head touched. I think she really feels different from the other goats. 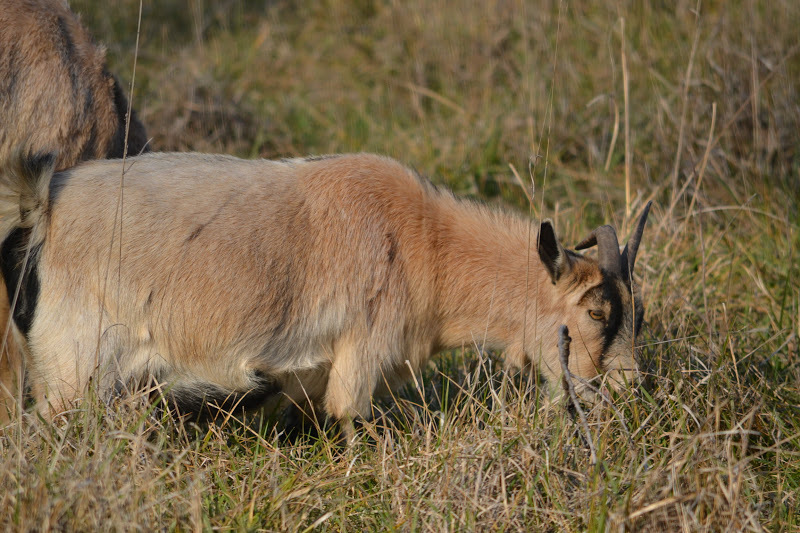 It’s sad in a way…although it does not stop her from butting heads with the other goats. I hate bloody horn injuries. All that blood makes it seems SO much worse then it is. I’m glad Millie didn’t bleed everywhere! Me too. 🙂 Opal and Pam are the only two bad injuries we’ve had, but those little nicks sure can bleed a lot! Oh, THANK YOU! It is so hard to find people that truly care about the horns. There are countless videos of disbudding that just make me feel terrible. They say the kid “gets over it”, what they don’t realize is that they aren’t a goat. 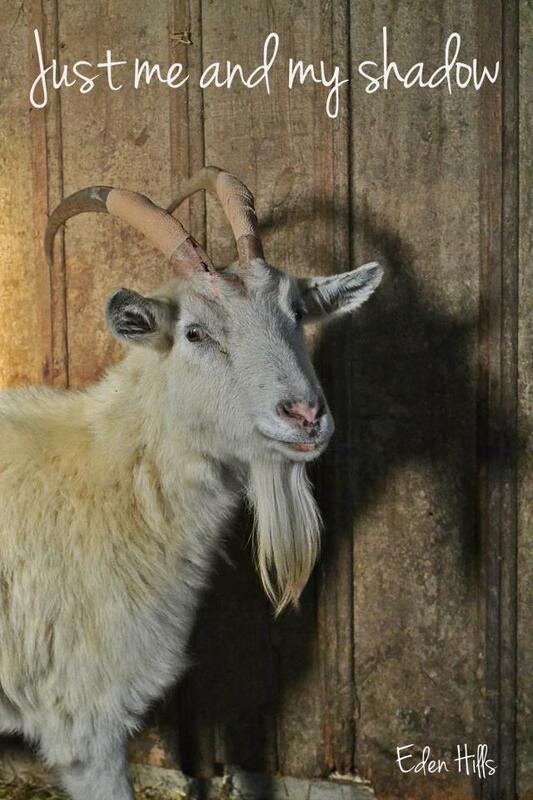 I love it that you leave the horns on, it seems sometimes that I am the only one who “believes” in horned goats! I think we’re just not as vocal because we don’t have to share information on how to do it. 🙂 I love them with their horns, and Millie is feeling a little lost with it being broken off. Poor girl. Ouch looks awful especially Opal. Love the picture Marley. He is cute for sure, is he a different breed then the others? I felt really bad for Opal. Ultimately, that’s why I had to re-home the minis. I didn’t want them to keep getting hurt. Marley is almost all Boer. 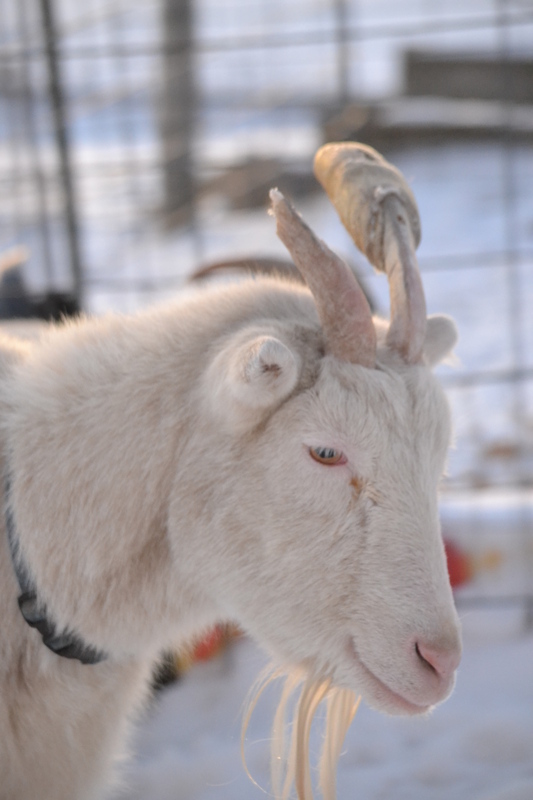 He does have some Saanen mixed in. 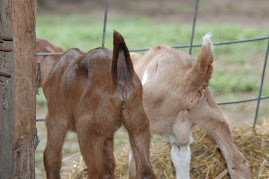 Most of mine are Boer Saanen crosses, but I didn’t get a lot of them in the pictures today. I didn’t know any of this about horns, and I was fascinated to learn. Thanks! Glad I could provide you with some interesting material! I’m glad she isn’t in pain. She’ll have to find another way to make music now! She still has one half-way good horn! Wow, interesting. We have burnt our kid goat’s horns off when the were kids. I think I will continue to do that but I do like the way they look with their horns intact, it gives them a bit more “personality”. 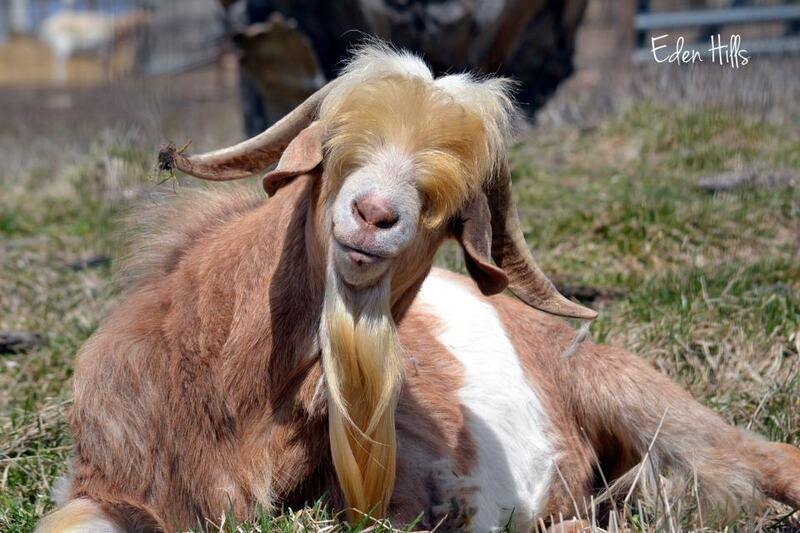 You have very handsome goats! Thank you for sharing. I am sorry for Millie, but I am glad it is not painful for her. Thanks for explaining and for providing more info on the goats horns. I love seeing all your cute goats. Happy weekend to you! Poor Millie! I’m glad the vet will soon trim the horn so it’s not ragged and so sharp. I have seen de-horned goats and think it looks cruel! It was hard for me to hold Pam when the vet used the burning tool to cauterize her wound. I can’t imagine doing that if it weren’t absolutely necessary. Thanks, Carol. Other than missing her horn, she doesn’t have any ill effects. What interesting info here – I thought the horns were useful only for defense, Minnie Pearl has a beautiful pair of horns. I do love Minnie’s horns! I see there’s more to the goats than their cute faces and personalities. Interesting post on their horns and the injuries you’ve had to deal with. Luckily, horn injuries are not that common. They really are quite complicated animals. For some reason they seem to think I should be an expert. Glad you found it informative. Really, we rarely have horntastrophies, but it can be scary when it happens. Deb, Millie is perfectly fine. It’s not painful or anything because that blood well was already dried up. And the horns add to their character! Minnie Pearl’s horns are mighty impressive!! Honestly, it hasn’t bothered her at all (health). I’m not sure she’ll ever recover from not having that long horn to play her music, but she’ll adjust. Thank you for coming by sharing your creative photography on the Weekly Top Shot, #113! I was really late for Rurality Blog Hop. This one is way more appropriate for that. Sorry, I’ll try to be more timely next week (or at least pay better attention to which one I’m linking too). Wow, a plaster casts for broken Goat horn, how ingenious. 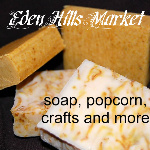 I loved this post, thank you! I had to be creative, or she would have been bleeding everyday. You can’t keep a musician from playing her instrument. 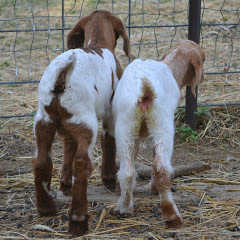 When we started having baby goats we decided not to dehorn. and boy did we hear about it!! when it comes to goats or horns or really ANYTHING farm related people are SO opinionated. we found “goat people” are either for dehorning or against it. And theyll tell u allllll about it! No happy medium! we dont dehorn but we also dont judge those who do and we wouldnt be opposed to buying a goat that was dehorned. 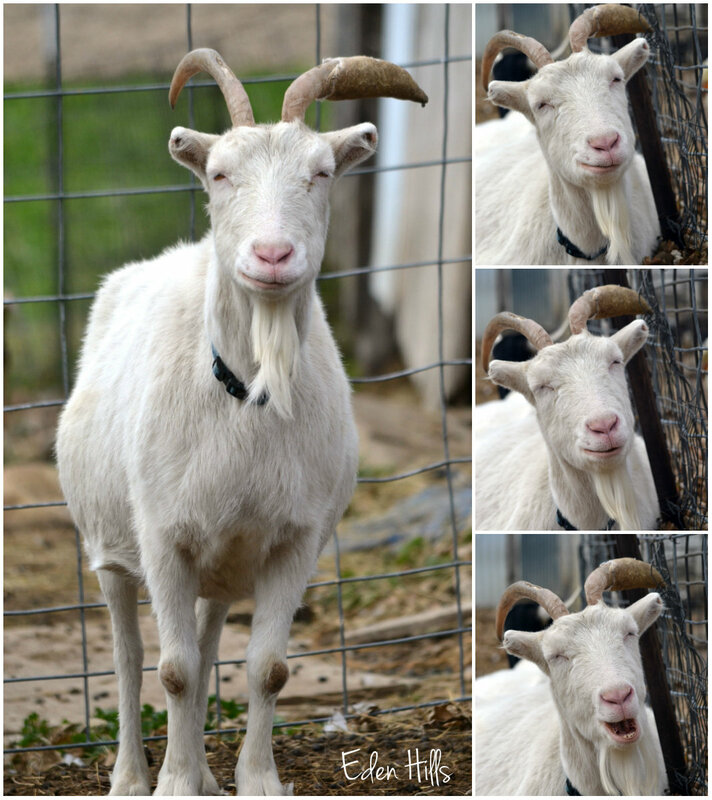 We chose to not dehorn our goats based on a couple facts. One was keeping their natural beauty intact, another was the pain involved and another was it is SO much easier to handle them. I try to not use there horns if I don’t have too but sometimes you just have to use them to restrain a goat etc. Thanks. I totally agree with you! Interesting. I had no idea. Your goats keep you on your toes, don’t they? They do seem to think I should know everything a person can possibly know about goats.